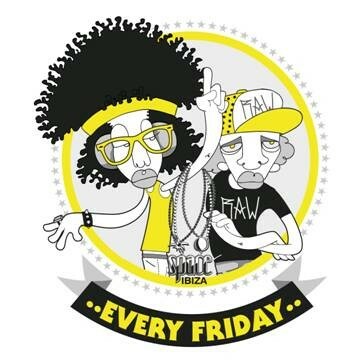 Beat & Raw will be the new Friday party at Space Ibiza. This is a new concept, an urban-feel party that plays with the stories of two characters, Beat and Raw, two friends who through circumstances of life decide to set off together on a trip to the island of Ibiza where they will live magic and unbelievable experiences at Space Ibiza. With their characters, each of them will represent one of the legendary rooms at Space. Beat is always accelerated, with his hyperactivity, he is the equivalent of rhythm and is represented by the Terrace of the club, where the more electronic rhythms will be sounding. His partner Raw, on the other hand, is totally wild and unpredictable. He will be represented by the Main Room, where there will be live performances and concerts. These two “parts” will not only be played out in the DJ booths, they also intend to move around and interact with the public, as well as wander Ibiza’s beaches throughout the summer. 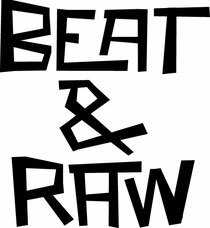 Always surrounded by the most beautiful girls, Beat & Raw will discover their vocation as rabble-rousers ready to give it all to get the audience going. The opening date is Friday 6th of July, ending on 21st September, and there are already several names confirmed. With a totally eclectic sense, fusing from hip hop and R&B to techno, via pop or drum & bass, the party will kick off on the opening night with performances from the legendary Californian hip hop group Cypress Hill, who will be joining the mythical hip hop group, Violadores del Verso, as well as DJs Jekey and Allan Ramirez, while dub step will be represented by Dub Elements and Don Diablo. Also, American duo Thievery Corporation, Digitalism, The Temper Trap and Jaguar Skills are also confirmed. Other artists confirmed to date include Front 242, The Subs, D-Formation, and Oscar L, among many others that will be revealed in the coming weeks. Throughout the summer, the Main Room will be hosted by Doctor Music, one of the biggest concert promotion companies in Spain, who are this year celebrating 30 years in business.